Kristen Stewart and Robert Pattinson, who met while filming the enormously popular 'Twilight' film franchise, are taking an amicable break from their romantic relationship while Pattinson is filming 'The Rover' in Australia. Stewart is reportedly unhappy with the separation between her and Pattinson, but is trying to be patient while waiting for him to wrap up. 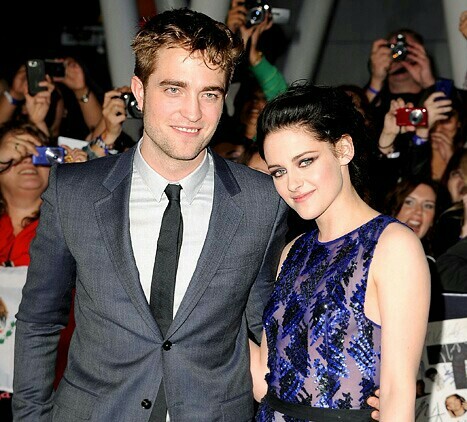 A source told HollywoodLife.com: "Kristen is really missing Rob. Regardless of their 'romantic' relationship, they are still really good friends. That is something that won't change. Kristen is not ready to say goodbye to this relationship and will do whatever it takes to make it work. "She is just being patient and spending a lot of time with her mom. Her mom has been very supportive and just keeps encouraging her to be true to herself and to keep things simple." According to E! News, the 'Twilight Saga' star was thrilled when her 26-year-old on/off boyfriend of four years got in touch with her recently and they are now in contact on a regular basis. The insider said: "She is counting down the minutes until he is home. He loves her, but he wants to work, too - which is understandable." Kristen was recently said to be ignoring Rupert Sanders' romantic advances after being inundated with pleading texts and emails from her 'Snow White and the Huntsman' director - with whom she had an affair last summer, leading to the breakdown of his marriage with Liberty Ross. A source previously revealed she has snubbed the 42-year-old director's messages, as she is so ashamed of her "momentary indiscretion" and the hurt she caused Robert.